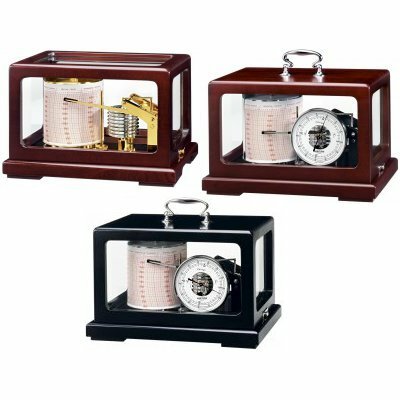 The classical WEMPE drum barograph is the trademark representative of the traditional German company and makes every small change in atmospheric pressure visible. 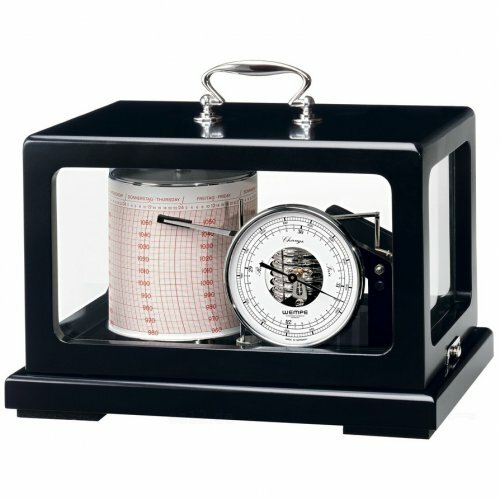 This task is performed with eight pressure cans inside the weather monitoring instrument that draw fine lines on paper. 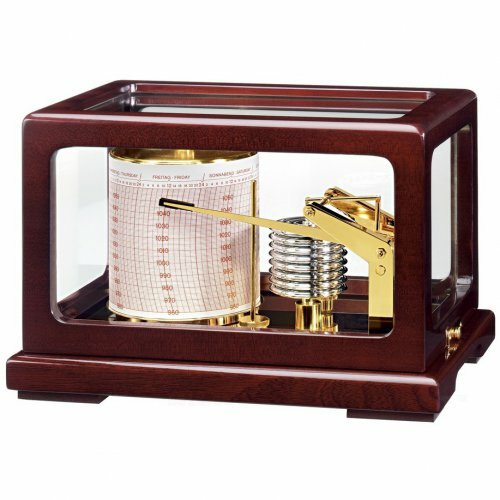 The barograph has a battery-powered quartz movement, is hand-crafted, and available in three different editions: With a high-gloss polished mahogany housing with gold plated brass parts, With a matt or polished mahogany housing with chrome plates brass parts and barometric display, and with a black high-gloss polished wooden housing with chrome plated brass parts and barometric display. 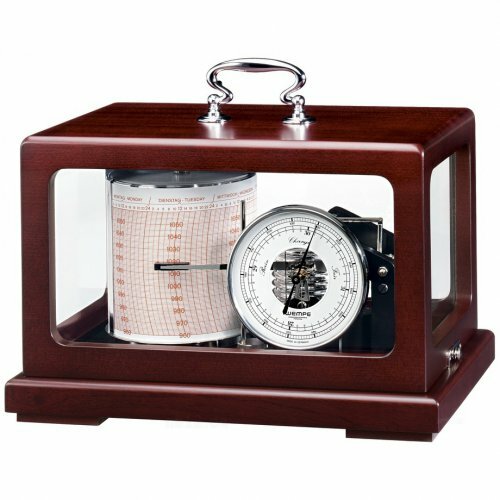 The electro mechanic WEMPE drum barograph weighs 3.1kg and is delivered with a fibre pen and 52 diagram papers (either hPa or inch), one for each week of the year.